While you’re considering installing a new driveway made of concrete -- or you already have one -- take the time to learn how to maintain your concrete driveway. If you do, it will last and save you money on repairs. If not, it will be a costly nuisance and take away from your home’s appeal and value. The most important way to maintain a concrete driveway is sealing. As concrete is a porous material, it needs to be sealed against moisture or else it will become cracked and damaged. This is especially true for outdoor concrete like driveways. However, sealing it once isn’t enough – it needs to be resealed periodically. If you live in a city with a lot of rain, like Richmond, Virginia for example, it will need to be resealed at least every two years. Even once you’ve sealed your driveway against moisture, you should still take care to keep it clean of spills. That’s because chemicals like oil, gasoline and grease can corrode the sealing and erode the concrete. If you find a discoloration or hard-to-remove stain, pressure wash the area. If that doesn’t work, use hot water and a degreaser. 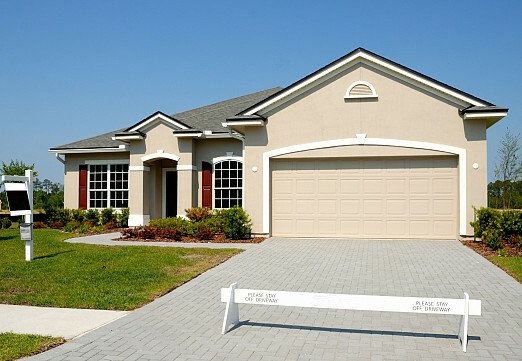 We homeowners subject our homes to an array of chemicals to clean and beautify them. Even if indoors we are careful to use only those chemicals approved for certain surfaces, outdoors we often ignore recommendations. However, this can be damaging to concrete. For example, many de-icing chemicals contain ammonium nitrates and ammonium sulfates which attack the concrete. Other methods, like sodium chloride or calcium chloride are less damaging, but they can be harmful to vegetation, so you might need to call a landscaper if you’re not careful. In any event, all de-icing materials should be avoided for the first winter after your driveway is installed. While concrete is popular because of its strength, it’s not a good idea to overestimate it. A typical driveway is not engineered to support the weight of a large truck or moving van. Additionally, be careful when shoveling your driveway, as you can scratch or chip it. If small cracks develop be sure to patch them up right away. You can either find a concrete contractor or purchase a repair kit at a local hardware store and fix it yourself. This will prevent moisture from seeping into the cracks and causing more damage. It’s also important to pay attention to expansion joints and control joints. These allow the concrete slab to expand and contract without coming into contact with any adjacent objects, and prevent cracking. Make sure they are sealed and in good shape; and repair promptly as necessary. A concrete driveway is a long-term investment, but it needs to be treated properly in order to last. If you neglect it, it will begin to deteriorate and depreciate the value of your home.